Washington: Microsoft said Wednesday it swung to profit in the past quarter on gains in cloud computing and business services, but shares took a hit on disappointing revenue growth. Revenues in the period rose 12 per cent to $32.5 billion, Microsoft said in results a shade below most market forecasts, prompting a drop of some 3.5 per cent in after-hours trade. 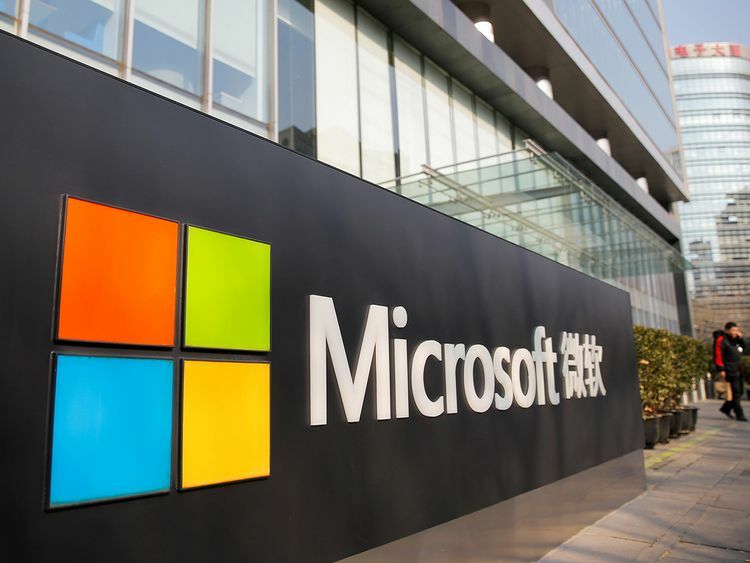 Microsoft said revenues rose 11 per cent from a year ago for its Office commercial software and cloud operations, and one per cent for the Office consumer versions. Revenues jumped 20 per cent for Microsoft’s “intelligent cloud” services, the business and artificial intelligence unit that has become a core for the company. The company saw a five per cent drop from revenue in Windows, the dominant software for personal computers, but a 39 per cent gain from Surface, its hardware division that makes tablets and other devices. Gaming revenue edged up eight per cent led by Xbox software and services growth and search advertising saw a 14 per cent gain in revenues.